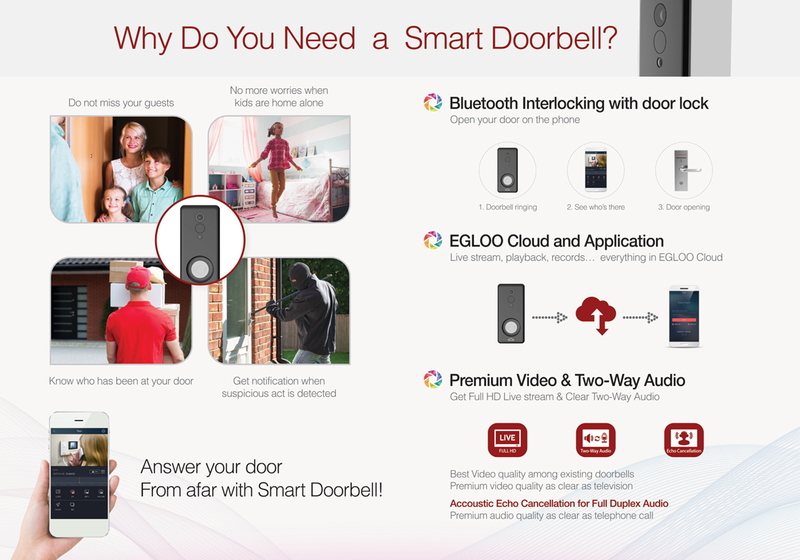 EGLOO Smart Home Doorbell with the Cloud and features such as Full HD Video, Two-Way Audio, PIR Sensor, Wide Angle View, Water Proof and UV Resistance will be the sole solution for all. Even though you are far away, do not miss your visitors and worry about crimes. 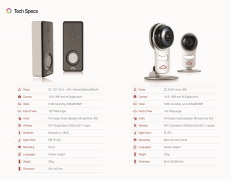 Users can keep their eyes on home even though they are away from home. 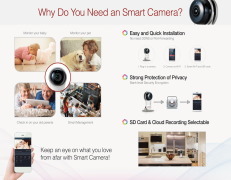 The EGLOO Smart Home Camera with Cloud and features such as Full HD picture, Auto night vision and Easy/Multi-Access will keep users' life spaces safe. FOR MORE INFORMATION CONTACT TRUEN CO., LTD.